« Get Set for the First Annual BBQ & Brews Festival! Primarily, however, Michigan BluesFest is about the music. Live music, and musical history in the making for each performing artist is asked to play something new: an original composition, improvisation, or something they’ve simply never played before an audience. This single detail is what makes Michigan BluesFest so original and compelling a celebration: it’s not just live music, it’s living music! 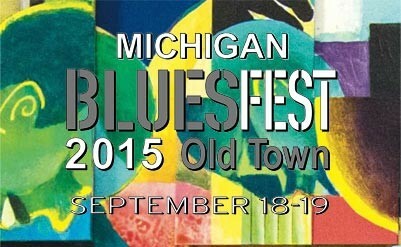 Be sure to visit www.oldtownbluesfest.com for updated schedules, a list of vendors, and more. There’s nothing wrong with whooping it up in the city but, when it comes to relaxing and recuperating, nothing beats a stay at The English Inn Restaurant & Pub! The English Inn Restaurant & Pub in Eaton Rapids is but a half hour’s drive from Lansing, Michigan – yet the lush beauty and stately warmth of our inn’s grounds and accommodations put it worlds apart. At The English Inn Restaurant & Pub, you will be treated to a level of comfort, service, and surroundings now largely unknown in today’s fast-paced world. Treat yourself to a stay at The English Inn Restaurant & Pub.